Inbound 2017 is coming! Here’s what we’re looking forward to. 25,000 marketers from all over the world have the date on their calendars: September 25-28. It’s HubSpot’s annual Inbound conference and for us, it really is the can’t-miss event of the year! First off, HubSpot puts on a hell of a show with keynote speakers past and present like Michelle Obama, John Cena, Billie Jean King, Martha Stewart, Alec Baldwin, Arianna Huffington, Anna Kendrick and Gary Vaynerchuk, as well as performers like Judd Apatow, Trevor Noah, Amy Schumer, Janelle Monae, and OneRepublic. Then there are the digital marketing education opportunities and great networking with some of the greatest minds in inbound and digital marketing. It's all a lot to take in, but with the help of a little pre-gaming, you can definitely get the most out of your experience. Here’s what we at StitchDX are looking to get out of Inbound 2017. Lead generation is critical to your business. Marketing automation can take those efforts to the next level (and it's more affordable than you might think). 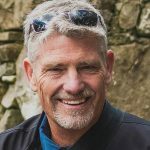 With 51 percent of businesses using marketing automation—and nearly 60 percent of B2B organizations looking to adopt the technology—odds are you’ve considered it for your business. And if you’ve considered marketing technology for your business, then you know it requires a financial investment, as well as an investment in time to master its complexities. Taking all that into account, how do you know if it’s the right call for your business? [NEW WORK] StitchDX partners with Hartford-based MoveUp to support innovative poverty solutions. We're thrilled to announce the launch of an all-new web presence for the MoveUp Partnership for Adult Learning, a collaborative with the mission of improving access to adult literacy and quality jobs in the greater Hartford area. As the centerpiece of MoveUp’s updated digital strategy, the site is designed to be a one-stop resource of information, as well as a direct connection to classes, jobs, services, and events for adult learners and the partner organizations that support them. Lowell, Massachusetts. Today, stitchDX announced that it has become a Silver HubSpot Certified Agency Partner. HubSpot is the world’s leading inbound marketing and sales platform and works hand-in-hand with Agency Partners to grow their businesses through inbound software, services, and support. [NEW SERVICE] The prospectLAB is open. Put your marketing under our microscope. Gut-check time: How good do you feel about your digital marketing ROI? If your answer is anything less than “great!” then you, like so many customers that we’ve worked with, probably already know you should be doing more with your “digital strategy”. Global Boston-based consulting/VC firm taps StitchDX to enhance branding and web presence. Brand-first digital marketing solution poised to accelerate client’s business objectives. Lowell, Massachusetts. Brand strategy and digital marketing agency stitch DX today announced that it will create and execute a new branding and digital strategy for a worldwide healthcare and technology consulting and venture capital firm headquartered in Boston’s Back Bay. This initiative will center on an all-new website with a visitor experience optimized for current and potential clients, as well as prospective job candidates. Lowell, Massachusetts. Brand strategy and digital marketing agency stitch DX today announced key initiatives aimed at enhancing their capacity to serve B2B and B2C customers in 2017. With a focus on the successful interplay of brand clarity and digital channels, stitch DX helps SMB organizations navigate the complexity of today’s marketing landscape to accelerate business growth. HubSpot partnership brings simplified, effective digital marketing to SMBs. stitch DX is now a certified HubSpot Agency partner, offering proven inbound marketing and sales software and services that attract and engage visitors, convert leads and close more deals. The HubSpot platform is used by more than 21,000 customers in 90 countries, across all verticals and sectors ranging from nonprofit to enterprise. stitch DX recently designed and developed a new website, fully integrated with HubSpot, for MeTEOR Education, a national leader in the creation and delivery of High-impact Learning Experiences™ . 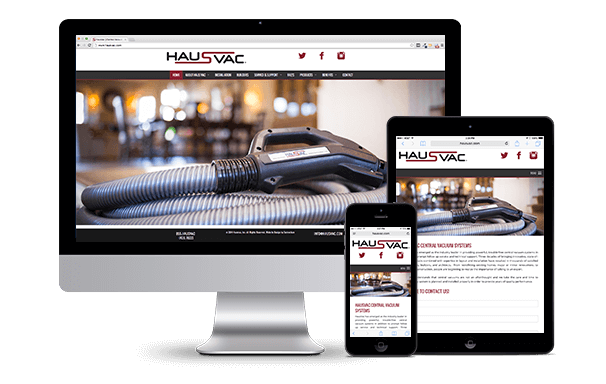 As part of its national expansion, HausVac approached StitchDX to develop a modernized online presence and refresh their brand. Established in 1981, under the name East End Centro-Vac, HausVac has been the leader in central vacuum sales, products, and service for over a quarter century.